What Is the Aguilar DB 410? Conclusion – Is the Aguilar DB 410 a Good Option for You? Aguilar has an impressive history of making some of the best bass guitar cabs in the world. They are dedicated to a unique engineering process that results in some of the best gear on the market today. Not only do their amps sound and look amazing, but they are surprisingly easy to use and offer all musicians the power and boost they need to really showcase their skills. 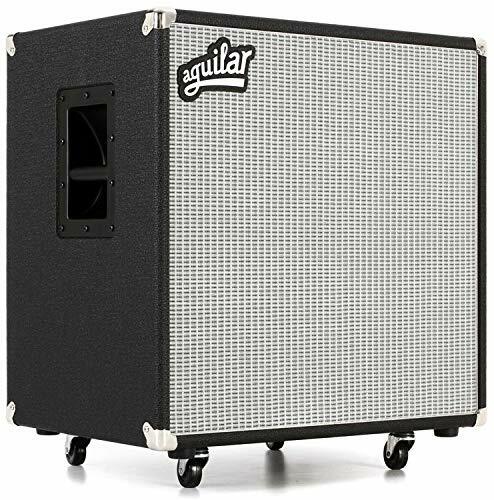 When you are looking for a reliable bass cabinet that will provide you with power and control, you will want to consider Aguilar. The Aguilar DB 410 is a member of the DB Series of bass cabs. 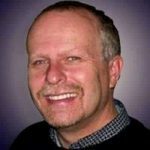 They offer incredible and aggressive midrange that ensures that the bassist can clearly be heard over the rest of the band, even during loud performances. Even though they offer plenty of power for sound volume, sound quality doesn’t suffer, as the DB cabs still provide that unique Aguilar sound that musicians have come to know and to love. All of the cabs in this series, including the DB 410, are made from Baltic Birch, have custom Eminence drivers, and provide extended highs and lows. They are visually appealing and come in different color combinations so that musicians can choose the one that best suits them. The DB 410 is one of the largest cabs in this series and offers incredible tonal versatility as well as an impressive full-range frequency response. The price of the Aguilar DB 410 may place it out of the range of some beginning and intermediate musicians, but advanced and professional musicians who know that they need the power that Aguilar offers will find that this is a reasonably priced piece of equipment. It is built for life on the road, and while it can be used in the studio for recording, it offers more power than most musicians need when practicing. While it does weigh 110 pounds, there’s nothing on the Aguilar DB 410 that will be damaged when you take it on the road, which is why it’s such a popular option for touring and gigging artists. It is surprisingly easy to move, thanks to the removable casters, and it has a strong chassis that will protect it from bouncing around while on the road. Churches and schools can also benefit from investing in the DB 410, as it provides all of the necessary power to fill a room with sound during musical performances. The Aguilar DB 410 ships by itself, which is not surprising and is fairly typical of this type of equipment. This means that musicians need to have their bass on hand, an amplifier to power the cabinet, as well as any cables that they will need to connect to the DB 410. Thanks to how durable this equipment is, however, musicians never need to worry about buying protection for the Aguilar DB 410, as it won’t be damaged on the road. Aguilar knows that musicians need to be able to trust that their equipment won’t be damaged when on tour, and that’s why they invest in such high-quality components when building their cabs. The DB 410 is designed to offer great sound on the road while looking great and withstanding damage. The max SPL of 130 dB that the DB 410 offers is more than enough power for most musicians to easily cut through the sound of the rest of the band. This bass cab offers all of the power needed to rock the house and ensure that everyone listening will be able to hear the music. Thanks to the tonal versatility of the Aguilar DB 410, this bass cab is great for all musicians. It works well no matter what style of music is being played. While the Aguilar DB 410 is a powerful bass cab that many touring musicians rely on, it is a little expensive for some musicians. If it’s out of your price range but you still want something with plenty of power, you may want to consider the Gallien Krueger Neo 410. This is a great option that offers 800 W of power, custom internal bracing, and a high-quality horn tweeter at a more affordable price. Another great option is the Orange OBC-112. While only offering 400 W of power, this bass cab weighs just 27 pounds, which makes it much more manageable for many musicians. It also features a lower price, which means that beginner and intermediate bassists may feel more comfortable investing in this equipment. The Aguilar DB 410 is definitely an investment, but it is one of the most reliable and powerful bass cabs on the market today. Any touring bassist who needs a lot of power to cut through the sound of the rest of the band will appreciate the clear midrange of the DB 410 and the impressive highs and lows that it offers. While this bass cab is best suited for life on the road, it is also great when used as the primary bass cab for a church praise band. Larger churches need to invest in equipment that ensures that all members of the band can easily be heard, and this bass cabinet is the perfect option for a skilled bassist. No matter whether the bassist is simply keeping the beat or is enjoying a great solo, the Aguilar DB 410 is a wonderful option. As long as there is money in the budget for the DB 410, no musician is likely to regret this purchase.